Apply for your health consultation today! Are you sick and tired of being sick and tired? Are you tired of failed attempts to improve your health? If so and you are serious about taking ownership and control of your health, then you may qualify for health coaching with Dr. Harrison. Dr. Harrison is not an expert in everything and only accepts those clients he truly feels he can help. Due to time constraints Dr. Harrison only accepts a selected number of clients per year in order to provide the focus and concentration his clients need to move them toward their health goals and get their lives back. If you are ready begin the consultation process below by filling out the application below and hit send. Fill out this form and get a one-on-one consultation! In order to determine if you are a good candidate for a customized Functional Medicine program with Dr. Harrison, fill out the required information for a free phone consultation with us. You can leave a message but it isn’t required. Please at least leave the best time to reach you. If you prefer, you can call the office to schedule your free health consultation at 407-522-5858. During your 10-15 minute phone consultation you can share information about your condition and ask any questions you may have. 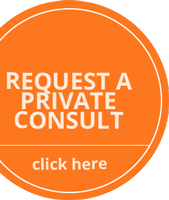 The goal of this free consultation is to see if you qualify for a consultation with Dr. Harrison. Before going through Dr. Harrison’s program I was way overweight pushing nearly 280 lbs. I was struggling to get weight off even when I tried to watch what I was eating and exercising. Nine months later I am down over 50 lbs., have much more energy and really like the way I look and feel. Working with Dr. Harrison was great. He helped me through the challenging times but it was well worth it. When I came to see Dr. Harrison I was already diagnosed with Hashimoto’s Thyroiditis. Even though I was taking medication I was still losing my hair, suffered with fatigue to the point where I didn’t even want to exercise and worse I was just having a really hard time focusing at work to the point where I was worried about losing my job. Dr. Harrison’s program turned everything around for me. Not only does my attention and focus seem much better, but I also lost weight (which I needed to do but it wasn’t my main reason for working with Dr. Harrison), my hair isn’t falling out any more and my energy is back, so I actually feel like getting out and doing things again. My friends and family have noticed a big change. I still have to take my thyroid medication but now it actually seems to be helping. I am so happy that I found Dr. Harrison. They were able to help me when no one else seemed to know what to do. He and his staff have been great to work with. Before starting the program I was tired, irritable and lethargic all the time. I was gaining weight and no diet out there worked and I didn’t have the energy to exercise. After starting the program the change was almost immediate. I feel better now that I have felt in years. I have endless amounts of energy, have already started losing weight and most importantly, my overall mood and demeanor has improved making me happier than I have ever been! I have been a patient of Dr. Harrison’s since 2000... Dr. Harrison and his staff are like family to me. They understand when I am having a bad day... care with Dr. Harrison has improved my quality of life. Our family has been coming to Dr. Harrison for the past 13 years. His warm, friendly manner... have convinced me to bring my children to him since infancy. His treatments have relieved illnesses, from infantile ear infections to pinched nerves and all sorts of injuries. Anyone our family has referred to Dr. Harrison has found similar comfort and relief from their ailments. During this call Dr. Harrison will review in depth your family and personal history as well as a review of systems. He will review any relevant lab testing you have available and answer any questions you have about your case. Dr. Harrison tailors his Functional Medicine programs based on your history, the latest and most up to date lab testing and your own personal goals you would like to achieve. At the conclusion of the call Dr. Harrison will let you know if you are a good candidate for care and whether or not he can accept you as a client. If accepted into care Dr. Harrison will begin the process by ordering any indicated lab testing he feels is in order. A nutritional appointment will be scheduled with his staff to begin to address diet and removing stressors in your body. Once lab results are received Dr. Harrison will either meet with you in the office or by phone / Skype to review the findings and customize your Functional Medicine protocol to include dietary modification, nutritional supplementation, and various forms of detoxification and fasting, stress reduction and exercise recommendations. 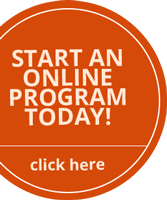 Our programs typically last 12 months or more. We are excited and committed to helping you regain your health so you can enjoy life on your terms! By the time you complete your program you will have been educated on how to take care of yourself so that you can continue to maintain your health on your own. Once you’ve booked your time you’ll be taken to a questionnaire where we’ll gather a bit of information before your consult.